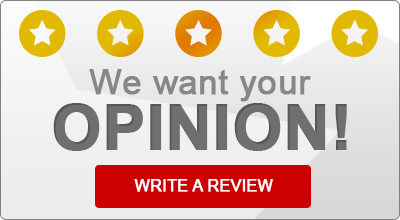 Read what some of our satisfied insurance customers have to say about Murray Insurance LLC! “I have held my insurance at Murray for over 20 years now. I highly recommend them to everyone I know. You can buy insurance at so many places, and from a great many sources. Prices may vary, but what truly matters is service. Let’s face it, you really need them at times of problems. This company is Stellar when it comes to customer service. I have had several claims over the years, mostly very minor bumper repairs. They handled all the details and claim work flawlessly, and with no hassle. That is what sets companies apart. How do they handle actual claims? I have complete faith in my agents and their team. Over the years I have bought cars, houses and condos, added family members as they began driving. Again, they handle the paperwork flawlessly. I have lived in 5 cities in Pa. They handled not only my auto, but also homeowners in each city. My children went to college in different states, and we still worked with this company. I can call them from most anywhere, and they know me. Which is cool in my opinion. I have grown quite loyal because of the excellent service. Erie is a great and solid company that I have faith in, then have the added security of agents that know me, and recommend services that fit my life. All it requires is a call, and they get me on the right path. No matter who you use for auto or other insurance, I highly recommend you call this company for a quote. Then Remember that there is more than price to insurance. Can you contact your agent in the time of need? Do they actually pay the claim? Will they try to push you into products that fit them, and not you? Would you trust them to handle your spouse or children’s needs ( I did).